Protect your stuff in one of our zippered mesh gear pouches. 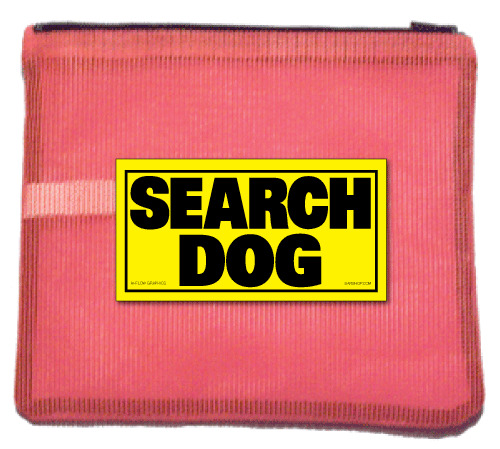 Fill it with SAR essentials: cell phone, batteries, gloves, flagging tape, medical supplies, skin protection, sunglasses, car keys—anything you need instant access to in and out of the field. Or, store a K-9 Vest. Be ready to respond—Bag it. Mesh is a sturdy polypropylene material, which is ideal for keeping items safe while aired out to dry, reducing musty odor.